The Narrative Lectionary texts for November 18th are Isaiah 36:1-3, 13-20; 37:1-7; 2:1-4 and Matthew 5:14. Here are some initial thoughts as we head to the sermon for Sunday! This text selection begins with what has commonly become known as “Fake News”. A “field commander” and a “large army” are sent and an envoy from Sennacherib, King of Assyria, to King Hezekiah. The “Fake News” is that the Hezekiah has deceived Judah by suggesting that God will deliver them. The evil Assyrian representative suggests they should surrender and come with him and life would be wonderful. An earlier generation would have called this “Propoganda” – a deceptive means of overcoming the hearts of the enemy. (Examples of Propaganda; Older congregants may identify with Tokyo Rose as an example. )Davis calls it “psychological warfare” (examples HERE). Hezekiah’s response to this is repentance and an appeal to the Lord. Isaiah, prophet in the palace, assures Hezekiah that God has all of this worked out and he won’t have to hear from Sennacherib again. Unfortunately (in my opinion) the text now bounces to Isaiah 2 – a great text on it’s own – but away from the great story of King Hezekiah (is anyone tempted to just do a biographical sermon on Hezekiah this week?). The Isaiah 2 text is a text of hope and promise, which his what Hezekiah experienced after avoiding this conflict with the Assyrians. And it is what we experience when we live for the Lord. Verse 5 is not in the suggested Lectionary text and I cannot imagine why. But I will use it as my guiding light for Sunday’s sermon. Come, descendants of Jacob, let us walk in the light of the Lord. A few observations about the texts this week. That’s a helpful summary of the background of this text. For some reason we are to read 1-3 and then 13-20. The bulk of the gap is the field commander’s message for Hezekiah, which apparently Hezekiah’s spokesmen Eliakim, Shebna, and Joah did not want the people to understand. They requested the field commander to speak in Aramaic so as to keep the people in the dark. The commander, however, threatens a siege by suggesting that the people need to know they will be reduced to starvation, having to “eat their own excrement and drink their own urine” to survive. But the brutality of that statement is then contrasted with the promises of surrender. If you give up, you can “eat fruit from your own vine and fig tree and drink water from your own cistern” among other promises. The appeal is clearly not to the leaders, but to the people. The appeal is, of course, a deception. This obvious deception and threat contrasted with the promises to the people shouldn’t be skipped, in my opinion, but the preacher will have to determine how harsh / specific to be in telling this story. Hezekiah’s prayer of faith in vs 15-20 is not in our text for today. … nor his subsequent illness…nor the 15 years that the Lord added to his life (chapter 38) … but I digress. In this text we have Isaiah’s vision about how the story ends. I suppose this is a kind of Divine Spoiler Alert! The temple imagery in Scripture is pervasive. We know the temple was ultimately destroyed twice. Jesus referred to his body as the temple. And we are the temple. The Temple appears in Revelation as well. Ultimately we are promised through these images that God will reign and prevail against all enemies…in His time. Wonderful things are assigned to going up to the temple. It is there we will be taught his ways, the missionary message will emerge from the temple, a season of peace will be the result of the reign of the Lord. 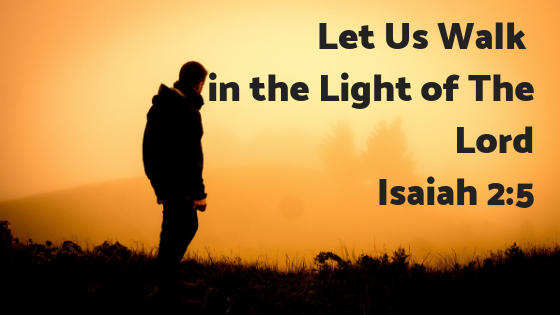 We are encouraged, then, to ‘walk in the light of the Lord’. The preacher is challenged with this set of texts because there is a large separation of settings and chapters represented here. How much background will you use? If the preacher spends a lot of time on the background of how Hezekiah had provoked the Assyrians and how this final battle was playing out, there won’t be much time left for application. And one must consider, can uninitiated hearers comprehend the scope of these texts? I think it is a real cause for discernment in how deep to go into the background. This is probably true of all texts from the Prophets, but especially when there are two pericopes under consideration. There is the connection of this text to our Micah text of last week in Isaiah 2:4 and Micah 4:3 (OK, I know 4:3 wasn’t in the NL last week but I used it anyway!). That does, however, bridge the message of the prophets as the hope and plan of God for peace for his people. One week after Veterans Day, do we have hope for peace in our lifetimes? It is not likely until the parousia. How will the preacher apply Isaiah 2? Can we apply it to the mission of the church – to worship, teach, spread the message, promote spiritual and mental and national peace, and walk in the light? Or is it more of an individual pursuit to spend time worshiping God , learning of him, sharing him with others as we can, finding peace, thus walking in the light? Maybe both? Which will you emphasize? In what ways do we bring light into the dark world? Specifically the source of light is the Lord, which we experience primarily through the mediums of Worship and Word. As we go out to bring that light to the nations we pray to help them find peace instead of war. How are we doing with this? If we scan Christian posts on Facebook do we see more light or war? How are we helping to bring light to those who are being deceived by the enemy (a theme from chapter 36)? Ultimately there are many homiletical decisions to be made here. Through prayer and study God will lead the preacher to a sermon that connects! You’re welcome to join my Facebook group Narrative Lectionarians for the sharing of ideas and resources and discussion about the text each week. Davis, Andrew M. Exalting Jesus in Isaiah, the Christ-Centered Exposition series. Holman, 2017. Webb, Barry G. The Message of Isaiah, The Bible Speaks Today series. IVP, 1996.